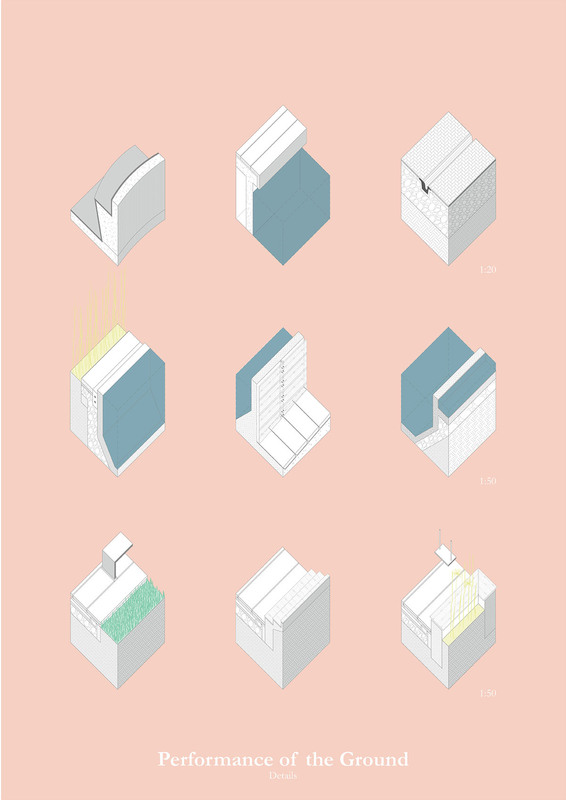 N orway, the wealthiest welfare state in the world, develops its country and its capital, Oslo, mostly through isolated market driven projects which form a type of “patchwork urbanism” that has little regard to its context. With the development of “The Fjord City”, most of the focus has been shifted towards the waterfront area, while its connection to the existing city fabric has been largely neglected. During its recent history, “densification through public transport” has been a very popular way of developing the city. 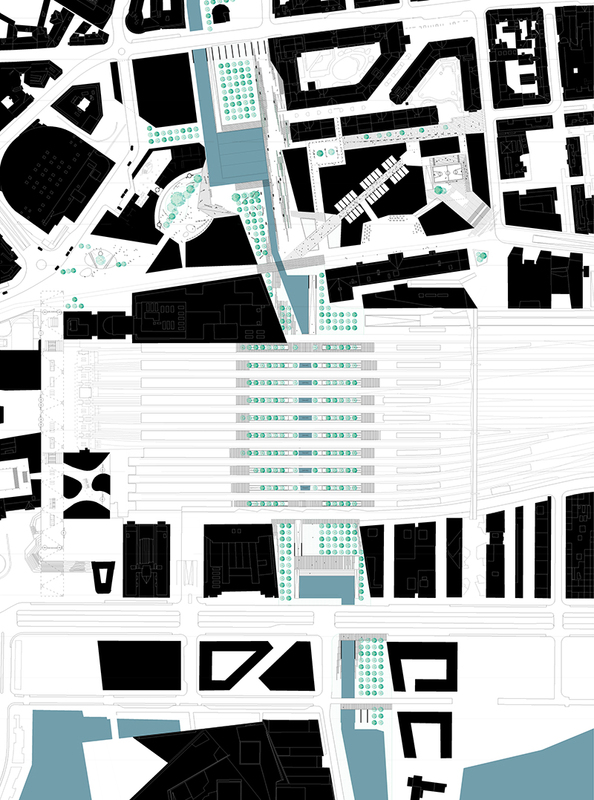 By adding new nodes of public transportation, surrounding areas can be built denser and higher than the adjacent tissue, creating islands of imported urbanity of a scale that was previously not familiar to Oslo. 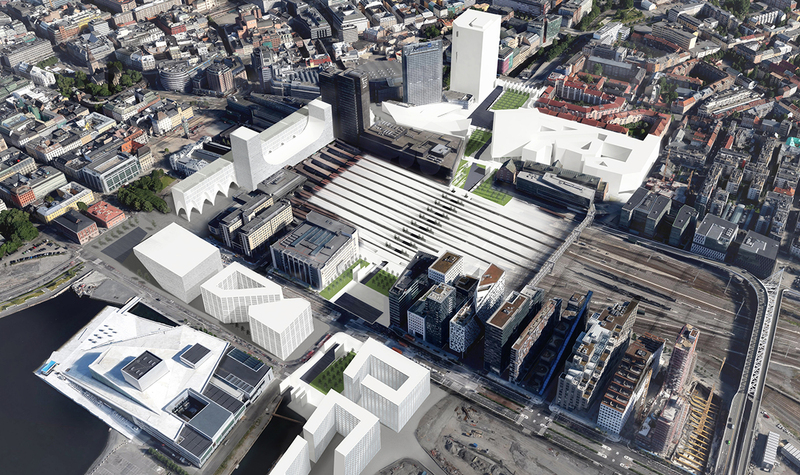 This approach shows a lack of urban design and articulation within the created open and public spaces, especially with their connections to the existing fabric.The chosen site, Gronland, consisting of the Oslo Central Station, the Oslo Bus Terminal and the Gronland Metro Station, functions as a hub. However, the multiplication of layers that appears here leads to a confusing intertwinement of paths and directions where the pedestrian is forced to circumnavigate through a vast field of infrastructural objects. By the subordination of the pedestrian to the residual spaces left by vehicular infrastructure, this area more resembles an emergency exit from a city than a representative main entrance. Due to the fact that this extremely central site has a high economic and spatial value, it is inevitable that a dense and lucrative development is imminent. 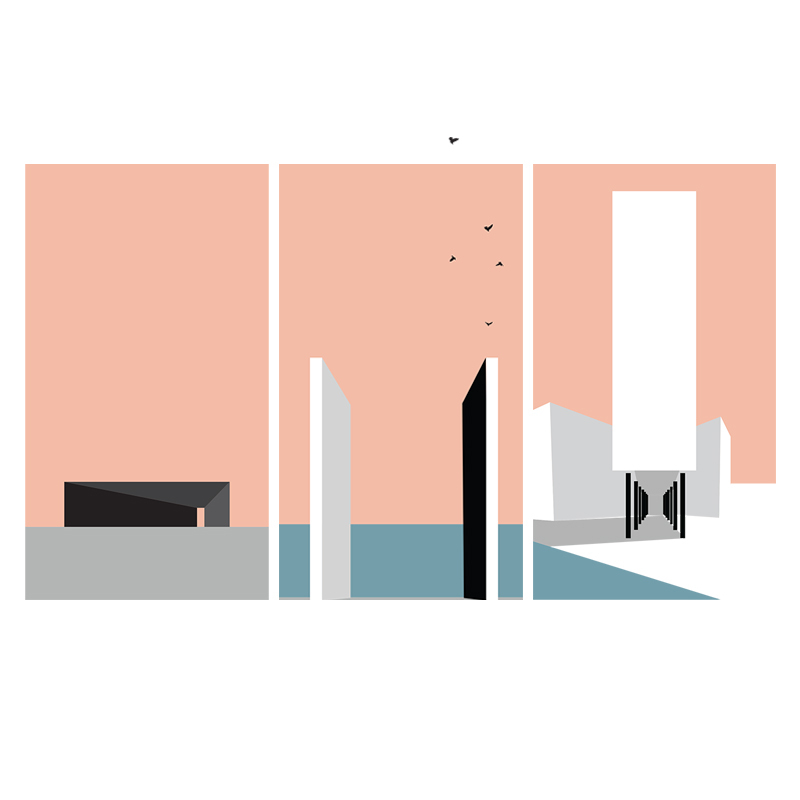 We create a plot with the possibility to blend the existing with the new in order to articulate this part of the city. With developing by subtracting instead of adding infrastructure and by keeping in mind the pedestrian as the primary user of the city we propose a project which takes into consideration the needs of its surroundings, adds value to a wider neighborhood area, provides orientation when entering the city through the Central Station and combines all the parts and inhabitants of Oslo into a place that can be used equally by everyone. We propose changing the process of city forming by putting urban design as the leading strategy and not as an accidental residue. 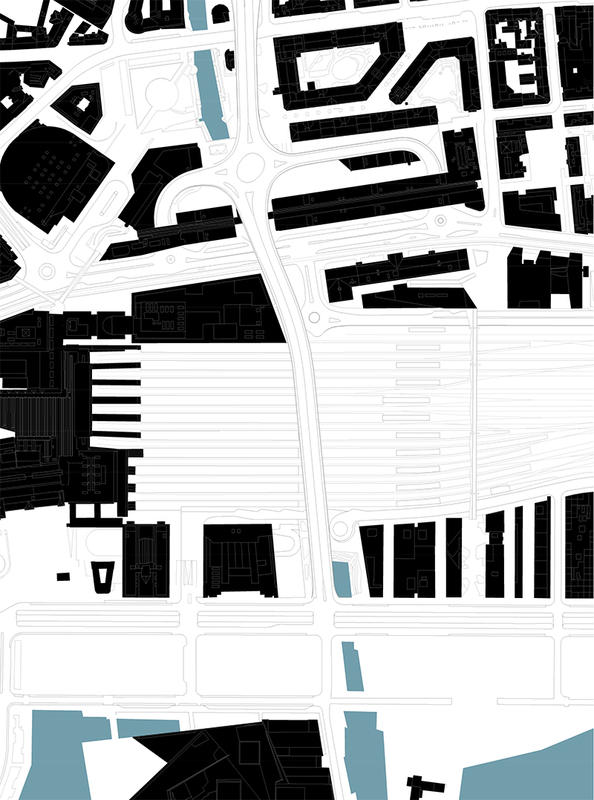 We approach developments within the built city fabric by focusing on the performance of the ground.